The luxury mountain homes of MacDonald Highlands were built with equally as much care as the layout of the neighborhood while the high elevation provides views unlike any other in Nevada. The focus of the MacDonald Highlands community was to create a custom lifestyle where each home serves as an individual, unique piece of what make the area beautiful. The large acreage of each lot provides privacy for each of the residents. If fact, MacDonald Highlands has the lowest density population than any other luxury home community in Las Vegas, NV. The entire community covers 1,200 acres of the hillside is home to only 800 luxury properties when it can fit over 1,100. The community is guard-gated to ensure safety of the MacDonald Highlands residents. 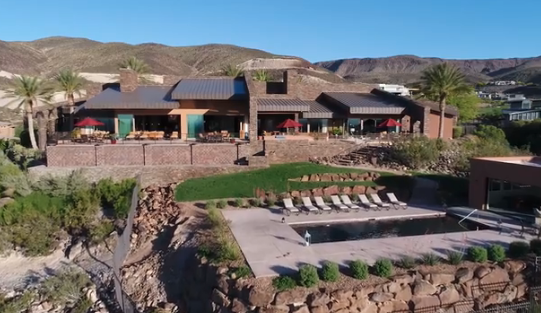 If you want to experience “Life at the Top” and are interested in any of the luxury homes for sale near Las Vegas, NV, contact the office of Kristen Routh-Silberman or call 702-614-9100. Become a part of the MacDonald Highlands’ prestigious community today.